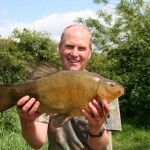 Tench fishing on the Cotswold water park lakes . 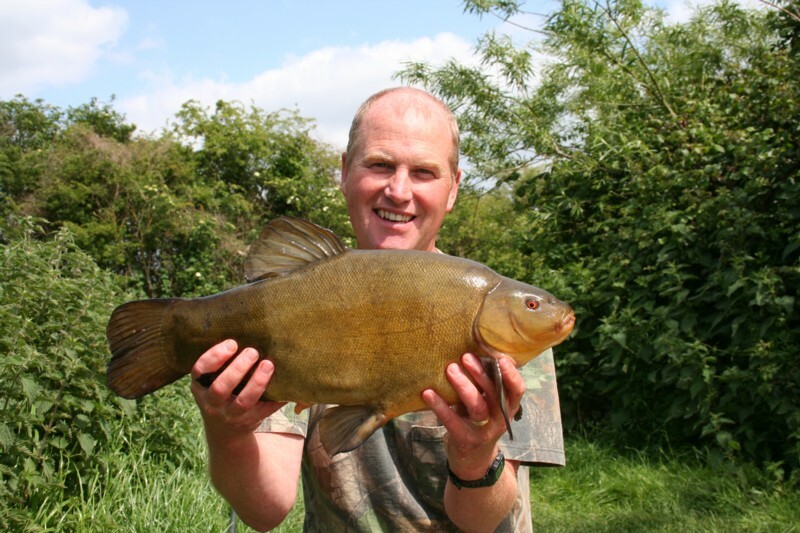 These maturing gravel pits are home of some very large tench and they are getting bigger. 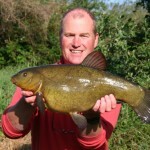 Finding the lakes with the larger fish is not difficult. 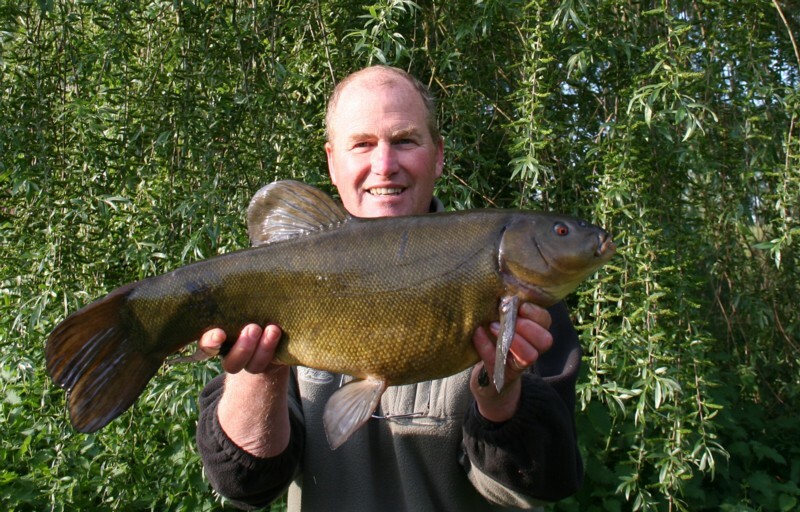 The real challenge comes from catching them. 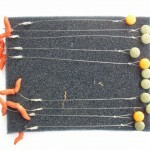 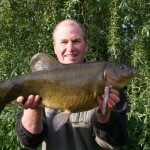 Come learn and develop your skills in achieving the dream of that huge fish. 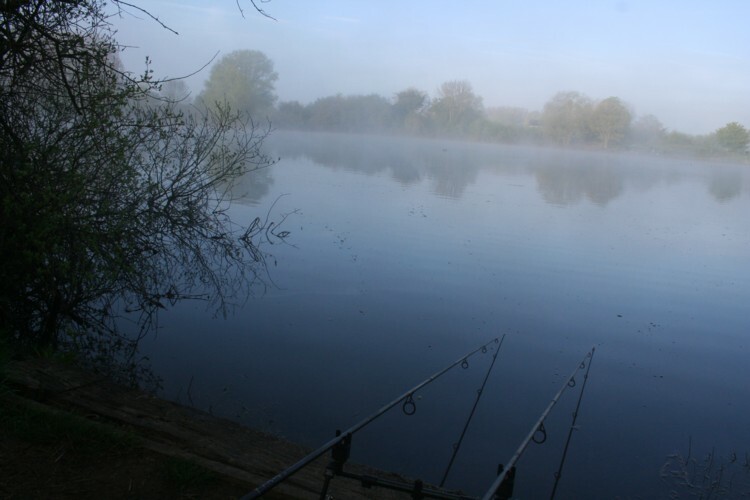 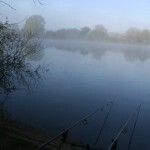 The lakes I fish are all day ticket fisheries so you can return anytime. 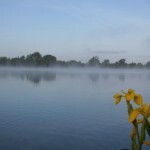 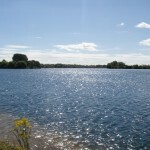 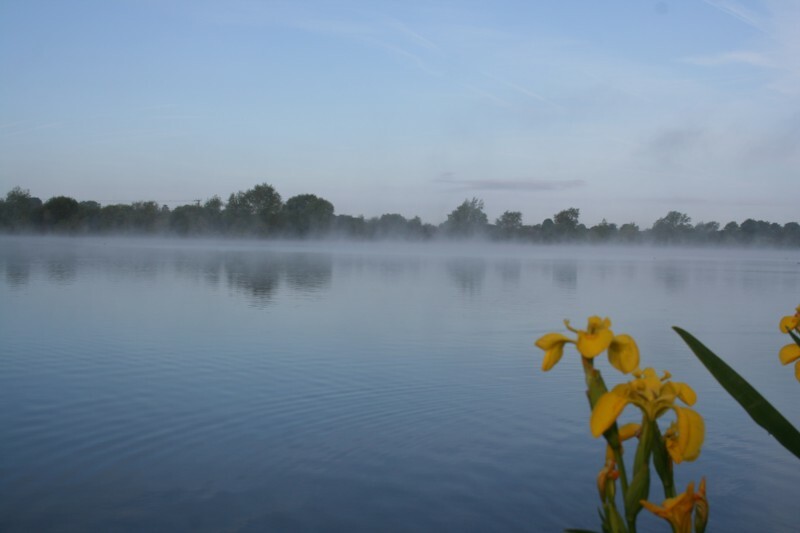 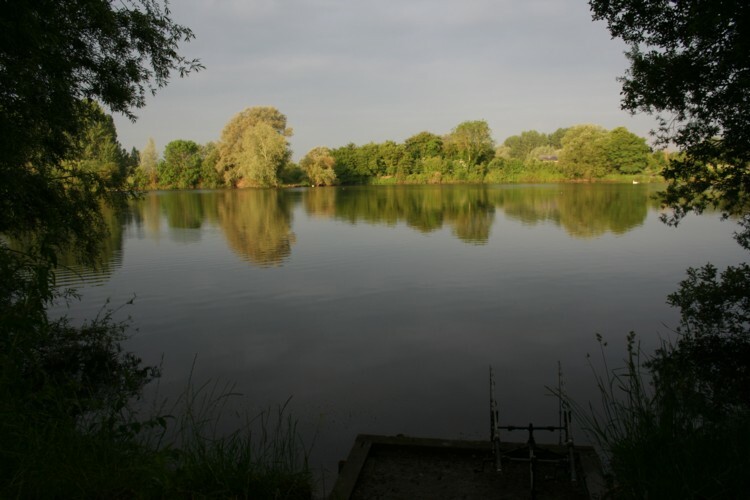 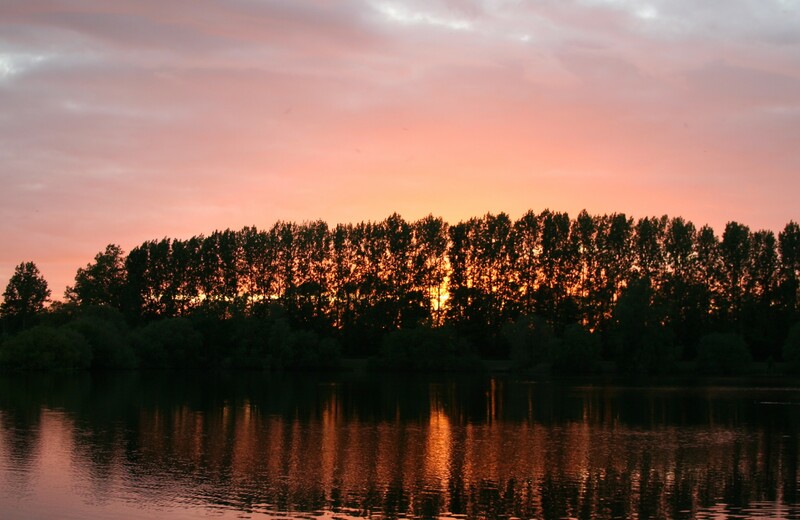 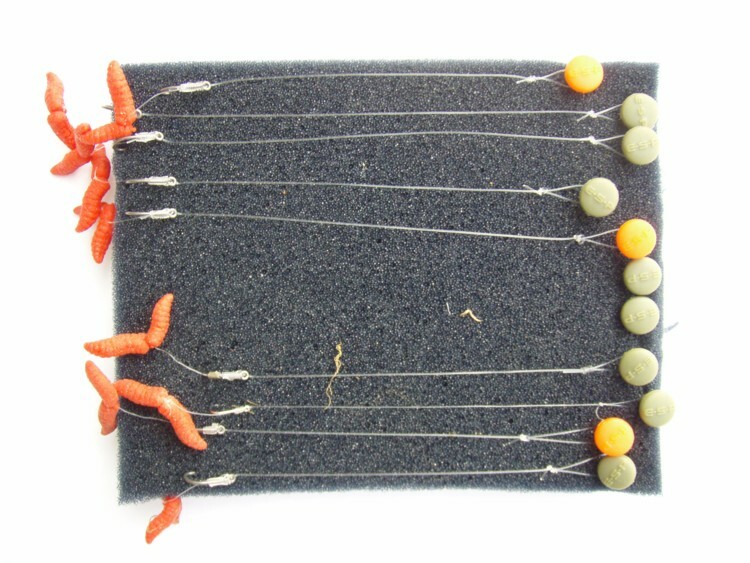 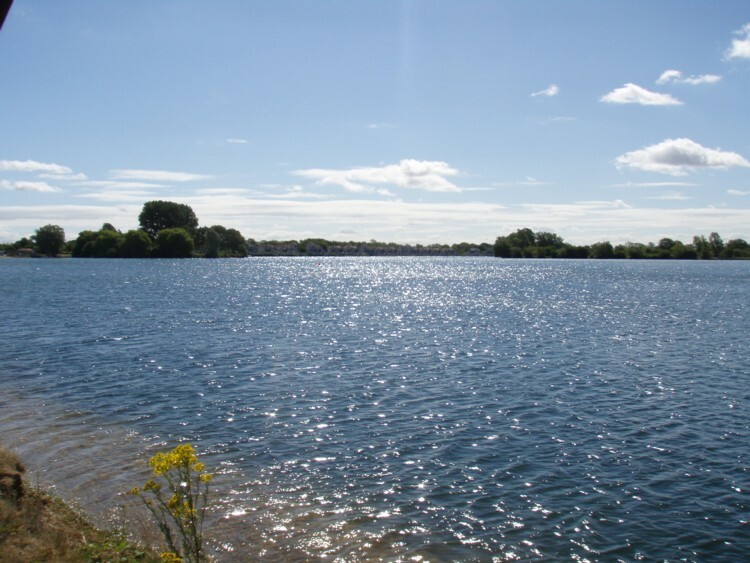 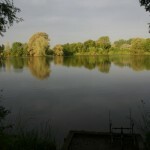 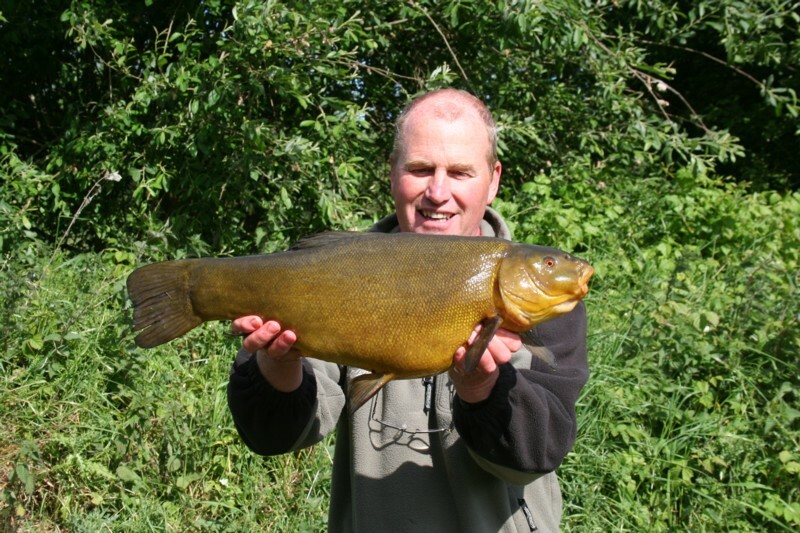 There are also small club lakes that contain double figure tench that are relatively cheap to fish. 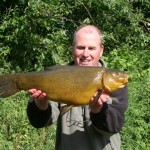 A tench caught May 2011 from Horseshoe lake. 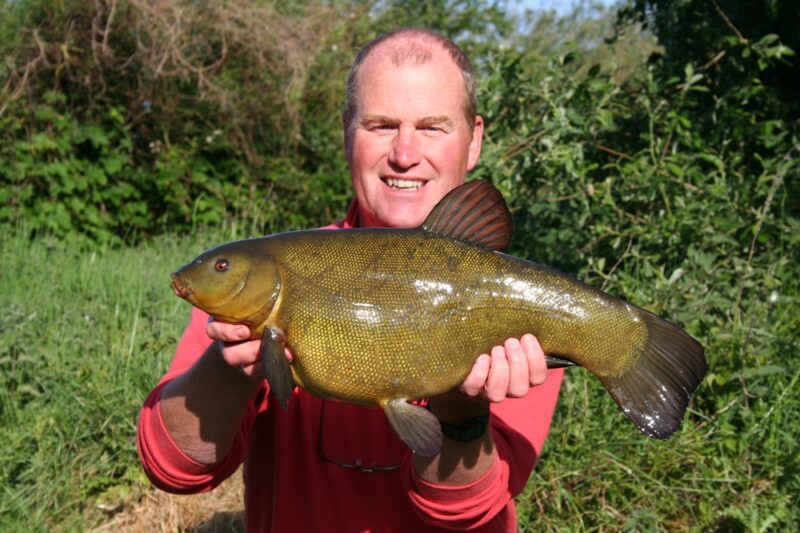 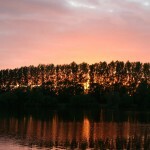 What a dawn for tench!